· Post Graduate Program, Diplom KooperationÖkonomen, Institute of Cooperation in Developing Countries, Philipps University Marburg-Germany, 20th September 2002, Germany (M.CE). · Bachelor on Management, Faculty of Economic, Universitas Padjadjaran Bandung, Indonesia 13th January 1999 (S.E.). Training on Business Incubator, Kemenpora, Surabaya 9-12 October 2012.
International Accredited Training Professional (ATP), SMR-PPM manajemen, Hilton Hotel, Jakarta, 4-9 May 2006. 1999-present Lecturer at Management Program Study, Economic Faculty – University of Padjadjaran (UNPAD) , Bandung Indonesia. 2007-2008 Secretary of D3 International Program Study, Faculty of Economics, Unpad. 2013- 2016 Head of Research and Development Center on Business Incubator (P3ib) Unpad . 2017 APEID-Unesco Seminar on Entrepreneurship Educatiin Network , Miriam College, Philipine. 2015 Case Study Workshop on Social Entrepreneurship, Tata Institut Social Science, Mumbai, October 2016. 2015 South East Asia The Next Frontier Innovation and Entrepreneurship for Impact, Jakarta 19-20 November 20015, SANKALP FORUM, P3ib Unpad Delegate. 2015 Student Entrepreneur Training, Minister of Research,Technology and High Education; Coordinator of Private University, Regional XIV; Sorong, 6-7 November 2015 as Trainer. 2015 4th UNESCO-APEID Meeting on Entrepreneurship Education A Suportive Ecosystem for Entrepreneurship Education 12-14 October 2015, Bangkok Thailand, organized by UNESCO Asia Pasific Regional Bureau for Education, Presentation with Idris Gautama. 2015 Judges on Indonesia Student Entrepreneurship “KMI” 2015 Award “Pengembangan Technopreneurship Untuk Menunjang Daya Saing” Ambon 10-11 September 2015, Ambon. Kerjasama Politeknik Negeri Ambon dengan Kementerian Riset dan Teknologi dan Pendidikan Tinggi Dirjen Pembelajaran dan Kemahasiswaan. 2015 Workshop Learning Outcome and Standard of Teaching method and Curriculum on Management Science at Undergraduate Level , Jakarta 26 Agustus 2015. 2015 Community Service “Singajaya Library Comunity Empowerment”, funded LPPM Priority, 2015 , as a Leader. 2015 Mitra Bestari, Jurnal Ilmu Keluarga dan Konsumen , 11 Agustus 2015. 2013 – External Review Gajah Mada Journal Business, GAMAJIB Jogjakarta , on Entrepreneurship and Small And Medium Enterprise subject. 2013- External Review Journal PPM, Jakarta Marketing aspect. 1993 Membran cell from Peanut skin for waste water treatment, D3 Chemical Enggineering Polytechnic ITB. 2017 Cooperative development model on Cooeperative for collaborative work creative actor ( KOPIKKON), Creative Economics Ministery. 2015 Research “Food Community Entrepreneur Bandung”, PUPT FEB Unpad as a Leader. 2009 Research Member “The Collection, characterization, conservation and utilization of sweet potato germplasm and local roots in supporting food security in West Java”, funding from Unpad, Riset Andalan 2009. 2008 Research Member “The Social engineering of waste utilization for dairy farmer biogas and compost production in the distict Bandung”, Funding by Unpad, Riset Andalan 2008. Asep Mulyana, “Strategi Pengembangan Usaha Kecil dan Menengah Indonesia dalam era otonomi daerah dan pasar bebas” on “The 2nd International Conference on Indonesian Democratic transition and Structural Reformation, July 7-8th 2004, Universitas Diponegoro, Semarang, West-Java. Sutisna and Asep Mulyana, “Peningkatan Produktivitas dan Wirausaha dengan etika muslim”, seminar “ Entrepreneurship Religion Breakthrough”, 8 Mei 2004, Pusdai Bandung. 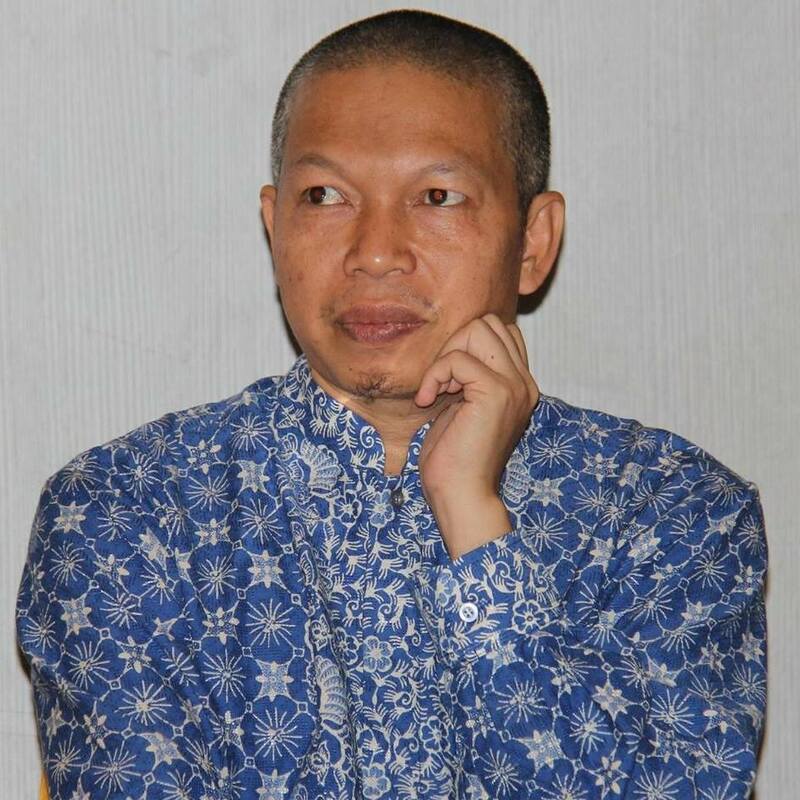 Adhitya Wardhono, Lukman Mohamad Baga, Asep Mulyana, WhyWorker Co-operatives Anyway? a conceptional development. ISSN 0855-8692, PTZ Berlin, Germany 4-6 October 2002. Training of Trainer Entrepreneursip Lecturer PT Bank Mandir(2010-2012) as a Trainer. HRD-SEMINAR, ‘INTRAPRENEURSHIP IS A FOUNDATION FOR INDONESIAN ECONOMIC DEVELOPMENT” TRISAKTI 8 JULY 2006, AS PRESENTER. ASEM, Youth Dialogue on Sustainable Development, Strengthening Co-operation Among Youth in Asia and Europe, Hanoi, 28th June – 2nd July 2004, as Participant. Lokakarya Nasional : Indonesia: Tantangan bagi Usaha Kecil dan Menengah (UKM) dalam menghadapi Integrasi Global dan Otonomi Daerah, Jakarta, 8-9 Juni 2004 , participant. Simposium Nasional Sistem Ekonomi Islami II, Malang, 28-29 Mei 2004, presenter. Mini workshop on Small Scale Enterprise Development towards Economic Recovery in Indonesia on April 7-9, 2003, Malang, East Java, Indonesia, as Participant. International Workshop “transforming knowledge into action the knowing-doing gap and the entrepreneurial university”, 24-31 March 2004, as committee organizer and presenter. Workshop on Local Institution Empowerment in Indonesien II, organaniziert von ISTECS Chapter Europe und Ambassador the Republic of Germany, Frankfurt, 10th November 2001. Marburger Fachgespräch zwischen Wissenschaft und Praxis 2001, “Nutzer-orientierte versus investor-orientierte Unternehmen”, Marburg 22-23.06.2001. World University Service STUBE-HESSEN Seminar , „Süd-Süd-Kooperation auf staatlicher Ebene“, Falkenstein 4-6 Mai 2001. World University Service STUBE-HESSEN Seminar, „Planung berufsvorbereitender Praktika- und Studien in Afrika, Asien und Lateinamerika“, Kassel 19-21 January 2001. ISTECS Workshop on Lokal Institution Empowerment, Frankfurt 26 August 2000. « Craftbyasa dan diamond distributor Nu Amoorea menjadi bendera dalam perjalanan bisnisnya.